Anyone have any recommendations for good play through on youtube that isn't too juvenile and doesn't contain a lot of overreacting? Possibly no scare-cam? Loved playing the first one, and the second already looks like it'll be much better then the first! Can't wait! Critikal's is good if you haven't seen it yet. The only other one I've watched with no scare-cam/overreaction is the video of the person that first beat 420 mode but there's little to no commentary most of the time. Played it and was quite horrid at it! Couldn't get past 5 am on night two. That being said, I spent the game either bored out of my mind or screaming at a jump scare. no idea if it's actually going to be a character or just a decoration but it's shown in the kid's drawings so im guessing it's relevant somehow?? It's even more NOPENOPENOPE than the first one! This is my theme song when watching it. It's even officially titled NONONO- How appropriate! also so far it's been tagged as family friendly, anime, cute, and dating sim. i love steam community tags. I mean, I read in the description there about what happened but if I were Scott I would've been more patient! I'm curious about the story, too, though! The Game Theorists theorized that the first was based on an actual event that happened in the 90s at a Chuck E Cheese. I'm wondering if this is just an extension or possibly also based on a real event. And then there's the actual story, like what happened in it...maybe it will shed more light on the series as a whole. honestly so far it seems to just be bringing up even more questions, especially with the death mini-games and night 5-6 phone calls. i mean, in the first game it was kind of easy to guess what happened if you looked at the news clippings. everything's still kind of up in the air right now, but people are finding new things all the time. a lot of people think it's a prequel and the game itself is hinting at that, but i honestly think it's being misinterpreted because i can't think of any way it could actually be a prequel and make sense without being some kind of convoluted plot mess? i think it's more likely to be history repeating itself from what ive seen at this point?? Haven't played them, but I sure do LOVE watching Markiplier play them, hahahaha. Just watched him play the 1st night for Five Nights at Freddy's 2 and all I can say is screw that. Definitely not a prequel. Phone Guy mentions right off the bat that it's new and there were troubles in the past; I assume with the past animatronics. Also, all of the old animatronics are still around and can and will come after you, judging from the trailer. While I can kind of see how some things may look like prequel material, I think it's just misinterpreting what's actually happening. I thought the original was creepy, but holy cow this game is so much worse . 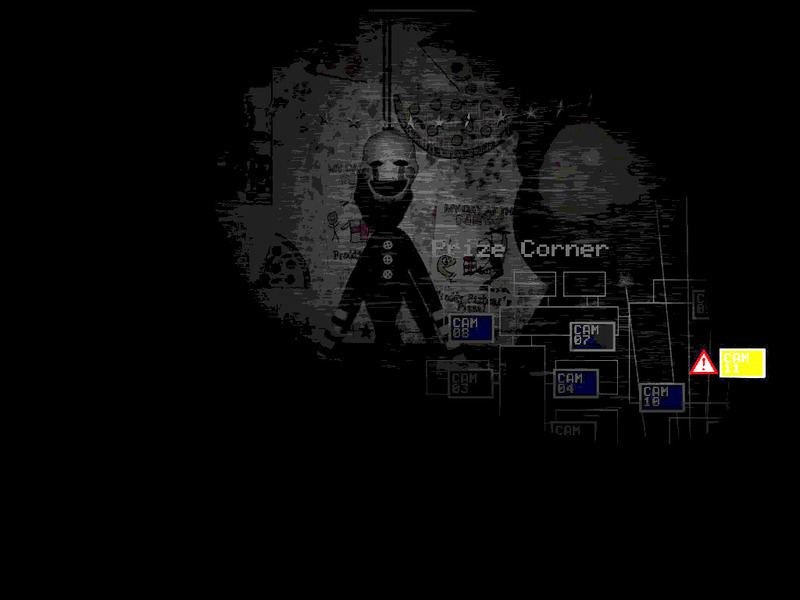 That darn puppet thingy is so creepy, and The Mangle scares me so much more than old Foxy. Foxy is always the saddest character imo. In the first, he was left to rot in an unused area, and in the new one he's just a mangle of parts because kids keep taking him apart and rebuilding him and they've given up on fixing him. He's still my favorite, though! The new is actually kind of adorable when he's hanging from the ceiling. After having read more and more on the game, I think I'm going to redact my statement on thinking that FNAF2 isn't a prequel; I wholeheartedly believe it to be a prequel now. I've never actually seen anyone get killed by Mangle? 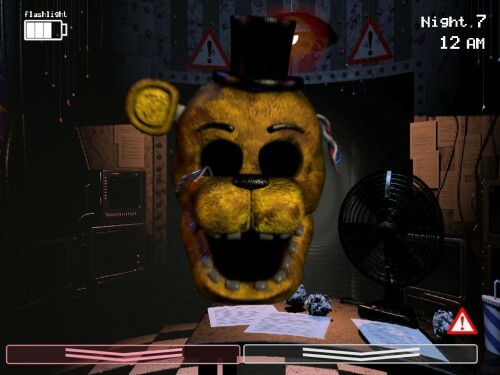 I also saw someone run into Golden Freddy a bunch when he was trying to beat Night 6 and got killed every time, and I still don't know what makes him appear or if you can avoid him. Ugh there's so many parts of this game's mechanics I don't understand yet and it's driving me crazy. there's also that endoskeleton that apparently moves that people have screenshots of but i've never actually seen it in a video and nobody seems to know what it is?? I still don't think it makes a lot of sense for it to be a prequel. I suppose at the end of the day it could be, but I think that would be an unnecessarily convoluted plot decision on Mister Cawthon's part. My main problem is robots with facial recognition technology wirelessly linked to criminal databases in 1987. I'm pretty sure the tablet is too advanced for that timeframe as well. Like I guess it could be an alternate universe or something but that feels like kinda lazy to me, I really think it makes more sense to be a sequel. .3. Also if it's a prequel why wouldn't they use the mask in FNAF1? •The game itself says it takes place in 1987; it's on the check the player gets. The first game takes place sometime after, as "the Bite of '87" is referenced as having happened already. •Phone Guy is still alive. While it's possible it's just a completely different character who happens to have the same voice (since it's Scott), the Phone Guy for FNAF2 has similar mannerisms when talking to you, most notably his greetings. •Yes, the animatronics are "old", but they're old from the original diner. The reason why they're used again at the restaurant in the first game is because the owner's are incredibly cheap and had scrapped the newer ones at some point. Something I read from someone's post: "The newspaper article says that they got rid of the NEW anamatronics, but the old ones were kept in case someone bought the company." •The paycheck is less money. It's theorized that the first game takes place somewhere in the mid 90s to early 2000s, so the paycheck being less makes sense due to inflation and a changing economy. •The animatronics walk around during the day at this point, which is also related to the '87 incident. •At the end of FNAF2, Phone Guy mentions wanting to take the night shift at some point, which means he hasn't yet. •Yes, Phone Guy mentions there being no more doors, but I think this is still in reference to the diner and/or possibly a bit of an oversight/informing players with experience with the first game that there are no more doors. Obviously there are still things that give evidence for it being a sequel, and there are still the mysterious game over Atari minigames and a few other things. I guess in time we'll know! I have a sneaking suspicion that the minigames show the events of the murderer luring the children into the back room, or something. I'm still not very clear on what they're about, though "save them" is said over and over (I think it's spelled out, actually). Whoa...if it really is a prequel and Phone Guy loved the old animatronics so much, then he got his way and ditched all the characters he didn't like (he mentioned disliking the Mangle and the Puppet), then restored the old animatronics as the stars of the show when the pizzeria reopened. That's sadly ironic that they repaid his kindness by killing him. yeahhhh i know all that i just still feel like it's an unnecessarily convoluted thing that doesnt rly match the setting?? The biggest hole I see is Foxy. Foxy is in even more disrepair than the first game, and if Foxy really DID cause the Bite, then why was he repaired even slightly? The first game made it seem like Foxy was regularly taken care of, just as the others were, but then after the Bite they retired him and didn't bother fixing him anymore. However, more support for it being the prequel is Golden Freddy. At the end of the game, Phone Guy makes reference to a spare suit in the back that someone was going to be using. Phone Guy also mentions a special event that's going to happen soon, presumably a birthday party when the Bite will happen. He tells you to stay close to the animatronics to make sure no one gets hurt, so it's likely that you, Jeremy, are the victim of the Bite. That's just more on the Bite, but I think it's still more evidence to support the Bite hasn't happened yet and thus it's def a prequel. So mysterious! I'm so excited. This game honestly has a really cool and really interesting story. yeah I've read that too. the mini-games and "flashbacks" or whatever they are are tripping me up too. also i take back what i said about mangle i found a screenshot of her death screen finally. ugh information about this game is spread out everywhere. i just really like to know how video games work idk. Yeah, I've only ever seen the endoskeleton in the Prize Room and in the left vent...not sure what's up with it but it kinda looks like a goat or cow with how the ears are. The BB under the desk is weird. I think it's just him with purple/pink eyes, for whatever reason, but not sure how he gets there. Mangle's design is also heavily feminine, with the colors (white and pink), sleeker face, eyelashes, and lipstick. Considering how feminine they made Chica look, I think it's save to say that the over exaggeration of Mangle's features in this way mean she's definitely a female. I don't particularly care either way what anything is, but imo it's just nice to refer to them as either he or she rather than it. What is her death screen like? I really haven't seen too many yet. Still haven't seen old Chica's, either Freddys', Toy Bonnie's, Golden Freddy's, or the Endoskeleton's (if it has one). I've only seen the common ones of the Puppet, Old Bonnie, and Foxy. some people are theorizing it's golden freddy's endoskeleton or foxy's. 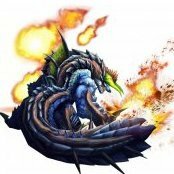 i think gf's makes more sense but im more concerned with what it actually does and what makes it appear. i just wonder why BB would have different eye and nose color?? i dont think the lighting in the room would change it. unless it's meant to be an easter egg that doesnt do anything but freak you out. i guess it could be a hallucination like in the first game.